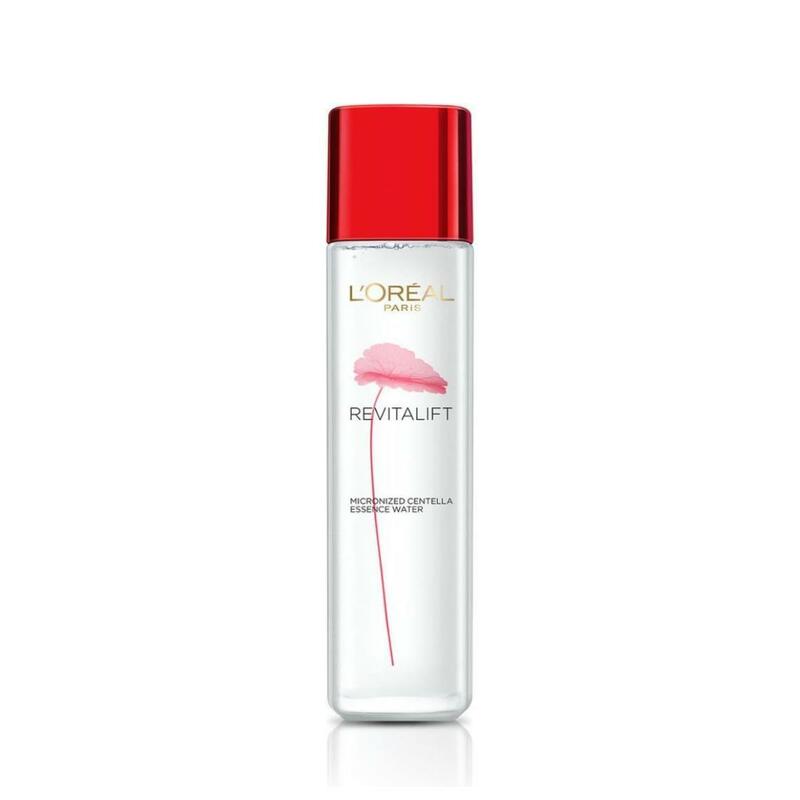 L'Oréal Paris Revitalift Pure Centella Micro-Essence Water is formulated with 92% Pure Centella Asiatica Extract, giving extraordinary healing power to repair aging marks and help the skin regain firmness and elasticity. Its micronized droplets allows for maximum penetration into skin layers to deeply repair and instantly hydrate, for firmer, crystal clear skin. Immediately*: Skin feels hydrated, smooth and firm. Day after Day, wrinkles look visibly reduced and skin feels firmer and smooth. Micronized droplets come in a light-weight, non-sticky liquid texture which absorbs easily into the skin.